This phenomenon is actually so well documented that there isn’t actually anything new say about Koh Tao, and so I am not going to try. In fact, after three weeks on the island I’m convinced that a completely new and unique experience on the island is nearly impossible. Anyone who comes to Koh Tao is going to experience one or more of the following phenomena and walk away with a set of experiences that be shared with anyone else who has ever spent a few nights on Koh Tao. 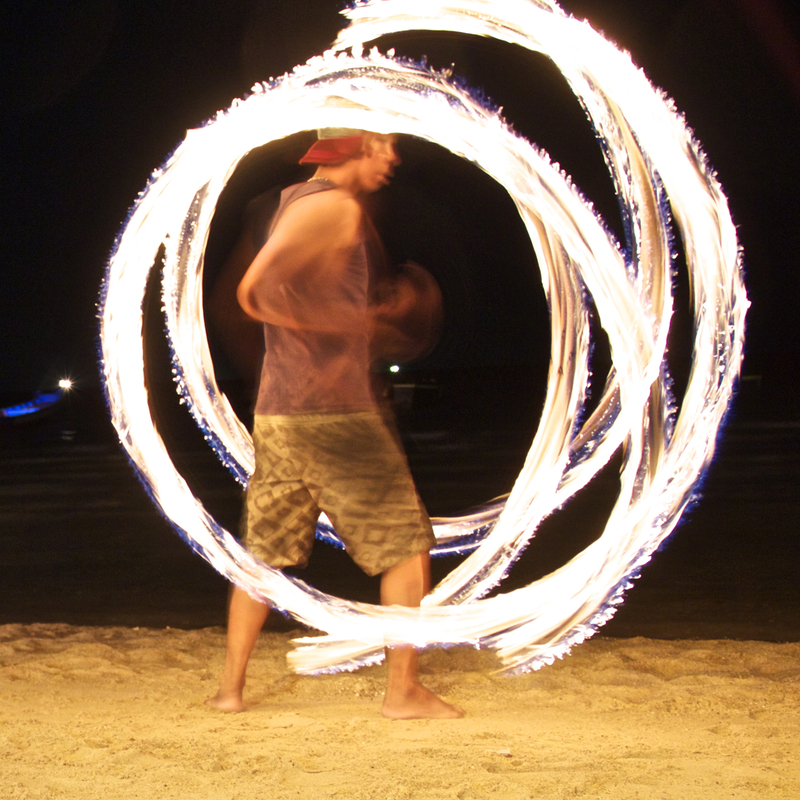 The Full Moon party lasts but one night; Koh Tao is eternal. It’s nearly 5pm and you’ve just finished an afternoon of Scuba diving. Your mouth is dry and throat parched from breathing compressed oxygen for the last 90 minutes while floating over soft corals and swimming through shoals of fish. As you get off the long-tail boat that brought you back to shore you meet your dive master to log your dives at a table conveniently located at a beach bar participating in the time honored practice of “Happy Hour.” Beers are 2-for-1 and you split a few with your diving buddies from the afternoon. Eventually you notice an orange glow on the horizon and move from your table to the beanbags on the beach and stare in awe while this happens. At this point you’re not sure if the sky is really on fire or if the bartender gave you a complimentary pair of beer goggles with the last set of beers. At this point happy hour beers have led to “Drink Specials” on buckets of alcohol. The most common of these are the 2-for-1 buckets of SangSom (Thai Whiskey) and Coke for 200 Baht – $6. Everybody around is a budget-conscious backpacker, so naturally these are seen as the most cost-efficient way to have a good time. Soon you realize it’s difficult to dance while carrying a bucket of mixed-drink without spilling it on yourself, but you’re on a beach and everyone is getting wet so it’s not a big deal. You continue dancing. It’s 3am and ‘American Pie’ is being blasted over the speakers at the bar you’re at. Everyone is singing; nobody really knows the lyrics. It’s closing time but the night is just getting started. You’re enjoying the company of the people you’re dancing with, although there isn’t a chance in hell that you remember more than one of their names. It could be the buckets of alcohol, the fact that over the music “Lu” sounds like “Sue”, or the headache you’ve got from sucking one too many balloons of laughing gas. None of this matters though, the most important task at hand is finding somewhere else to go because the lights just turned on and the music was turned off. Someone mentions something about a pool bar that’s open late and you follow. It turns out that “Pool Bar” is only half truth. There is a pool, and there is a bar – but there is no pool bar. You look across the pool and see a dozen people in the pool who are thoroughly enjoying the company of someone they met earlier in the night. In the other direction you see a group of six lady-boys enjoying drinks after finishing their last cabaret show of the night. You try not to get caught staring as two of them go to the bathroom and you anxiously watch to see which ones they use. Hours later the sun has come up. Your group shuffles to one of the 7-11s nearby to grab bottles of water and ham and cheese toasties. There is nothing else open so this will have to do for now. If you look closely you can see the dive masters and DMTs begrudgingly walking to work to prepare the morning dive boats; you’ll recognize them by the jealous daggers they shoot from their eyes as you’re still going at 6am and they had to go home by midnight. They assume they’ll get the last laugh when you leave after a few days on the next boat out while they stay on the island for another two months. On the beach you recount the evenings activities and try to account for the people who disappeared throughout the night. You’ll do it while looking out at an image of the ocean similar to this. You eventually wake up around noon. You may shower, or you might just put on your bathing suit and go back down to the beach to have breakfast. Wondering if last night was a dream or if it was real, you contemplate if tonight – or any other night – could ever be like that again. It will be, but only here on Koh Tao – the Hotel California of Thailand. The sky on fire. Faces illuminated by kerosine. Memories blurred by balloons of SangSom and buckets of laughing gas. 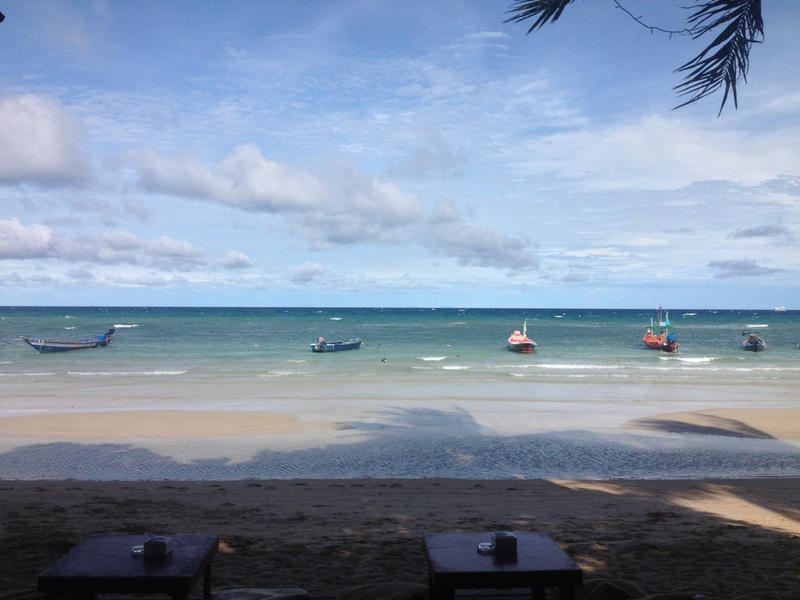 This entry was posted in Thailand and tagged 7-11, Backpacking, Cancun Bar, Fishbowl, Gulf of Thailand, hangover, Ko Pha Ngan, Ko Samui, Ko Tao, Koh Tao, Koh Tao Experience, Lotus Bar, SangSom, Scuba diving, Thailand. Bookmark the permalink. LLLLOVE this piece! I LOVE “the ROCK”! Koh Tao is magical and you capture it very well. I was there 6 years ago and still keep in touch with friends I made on the island. I think of that magical place every….single…day, it is in my blood and it is where I discovered the meaning of life! Thanks for the memory and will see you there one day I am sure! Thanks man, I appreciate it. In 40 years I wouldn’t be surprised if everyone who has been going there recently decides to retire there. Out of curiosity – how’d you stumble upon this? It seems like someone randomly posted/reposted it on facebook but I can’t nail down a source. 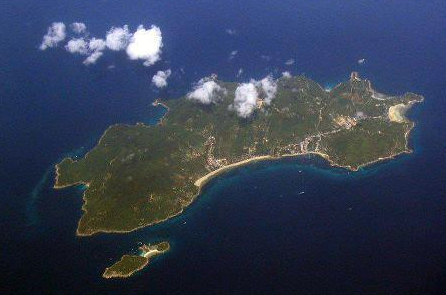 In 40 years Koh Tao will not be the Koh Tao we love, it will be more like Koh Samui. 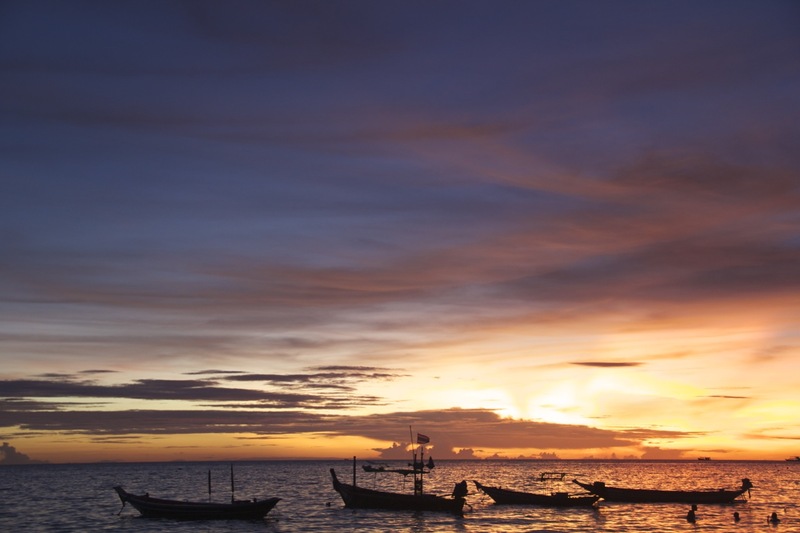 I love hearing stories from people who visited Samui when it was like Koh Tao. My friend Gigi posted it on Facebook. She lives on the rock and wanted to remind those of us who know, what we have been missing. I lived on Koh Tao in the early 2000s for 20 months. I originally went for a 5 day visit. It is a truly magical place that I miss every single day, even 11 years after I was last there. I am soooo glad to hear that!!!! Now I know I am not the only one. I was there to finish my dive certification and dry out from the cold I got while in Bangkok and ended up staying for almost 6 months!!!! I think about it EVERYDAY!!!! and it has been 7 years! Hi! Thanks for a great post. I visited Koh Tao last October and didn’t love it (stayed in Mae Haad which was pretty quiet) but I’m going back this December for my AOW. Do you mind me asking where you dived? I’ll be traveling solo so I would love to meet people like you did (and do some quality diving, of course). Thanks! Susie, I did ALL of my diving with Big Blue. If you go to BB, have Jim Donaldson hook you up most of the instructors I had have moved on but safety is their number one concern. I would also recommend Master Divers and ask for Ayesha Cantrell, tell both of them Q sent you. I stayed at Big Blue as well on Sairee Beach, maybe you would like it more out there. Mae Haad is more town and Sairee is more beach, with great shore diving and snorkeling. I traveled solo as well and Sairee is perfect for meeting people. Feel free to contact me if you have any questions at QLittlestar@gmail.com. January is a great time to see mantas in the Similans, let me know if you need someone over there. Susie – Similar to Quinn, I was at BigBlue and had a great time. Ironically I may be going back there soon to do my DiveMaster training…I’m trying to figure out if it’s worth going soon knowing that rainy season is coming up on Tao …or floating around the SEA area and waiting until later to do it when it’s somewhat more dry. BigBlue has a great reputation and has gotten pretty big, but manages to keep a very close-knit feel to the operation they run. I’ve yet to meet a DM or Instructor there who came off as a jerk or unlikable in any way.